Can Food Make You Sad? We want to be very clear here — Indulging in these foods only in moderation once in a while will NOT actually make you feel sad if you’re otherwise healthy and in a cheerful mood. However, when you’re feeling lonely and sad and are convinced that nothing but a bar of chocolate or French Fries dipped in mayonnaise will make you feel better, you could be in for a surprise. The food we put into our bodies have an incredible impact on our minds. Some foods improve your mood because they boost happy hormones in the body, while others just leave us feeling tired, drained out, depressed and fatigued. The reason? These foods make our metabolism sluggish and often result in feelings of guilt, which only exacerbates depression and sadness. So, what should you avoid when you’re feeling a little blue and don’t want to compound your sadness, shame and stress? Yes, we have all seen the heroine of a rom-com movie wolf down a whole tub of ice-cream when she’s feeling beaten and blue. But is that a smart move? Absolutely not! Ice-cream tastes great going down, but all that refined sugar can give you a sugar hangover (yes, that IS a thing!) and disrupt your mood, sleep and energy levels later in the day. Are you thinking – but what if I eat diet ice cream? 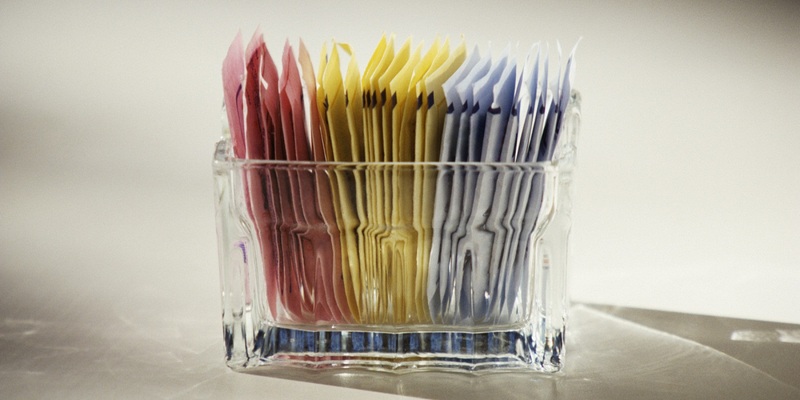 Aspartame is evil…and especially more when you’re feeling depressed. This is because this all-too-commonly used artificial sweetener contains chemicals that break down in the blood stream to block the production of Serotonin, which is the body’s Feel Happy neurotransmitter. As a result, you will fight with insomnia, get headaches and also feel a mood dip. Diet sodas, diet ice-creams and diet candy are all bad news for you. Yes, a large buddy pack of potato chips can feel like your best friend when you’re feeling stressed out. But all high sodium snacks will disrupt your neurological system, skew the immune system response, cause unwarranted fatigue and eventually contribute towards your depression. If you’re after the highly satiating experience of munching on something crunchy, it’s far better to snack on a handful of almonds or peanuts. Longing for a chilled cocktail to drown your sorrows? Bad move. Alcohol is a depressant, which means that it suppresses the central nervous system and will interfere further with your emotions, sense of reasoning and logic, and exacerbate depression further. Eating processed bakery foods is almost as bad as eating a bag of cheap candy. Bagels, donuts, muffins, cookies and other bakery bought snacks will give you an insulin boost that will not last long enough to make you feel any better. The major insulin crash you will experience shortly afterwards your body has dealt with all that sugar will only leave you feeling irritable, fatigued and blue. Next articleFood therapyMen and Midnight Snacking; What's the Trigger? This is a really good post. I totally agree with each of the five items. The only one I have a tough time staying away from is ice cream – actually I have switched to iced yogurt, but it isn’t that much healthier, is it.